Whatever the task, we have the specialist demolition equipment available for hire to ensure that your project is completed efficiently, safely, on time and within budget. 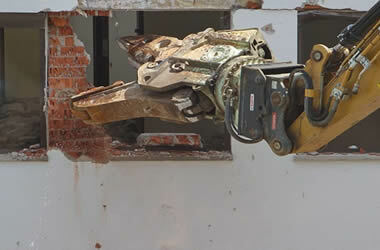 With more than 35 years of experience in the demolition industry we have earned a reputation as one of the leading demolition plant hire companies in Manchester. 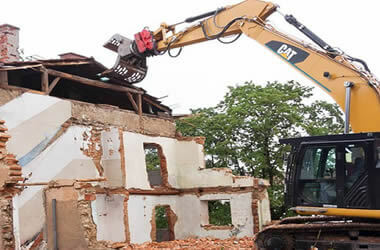 We have plant to hire for all types of demolition, industrial dismantling, soft strip demolition, bulk excavation, reclamation and land remediation. 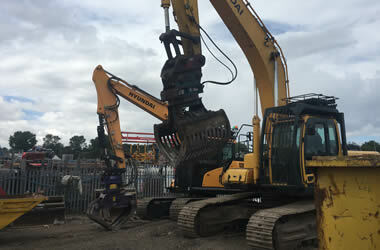 Call us on 0161 7369084 or request a demolition plant hire quote online. Our excavator hire comes with a broad variety of attachments suitable for a wide range of demolition applications and can be hired on both short and long term contracts. 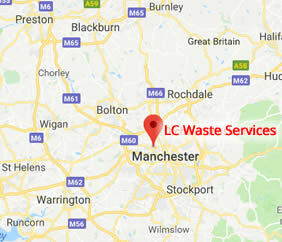 For demolition plant hire in the North West contact LC Waste Services today. Conveniently based in Manchester, we offer demolition plant for hire in Manchester, Salford, Bury, Wigan, Atherton, Leigh, Chorley, Preston, Oldham, Rochdale, Heywood, Stockport, across Lancashire, Cheshire and Greater Manchester. Call for more information on 0161 7369084 or request a Plant Hire Quote online.